How do I feel about the Guide so far? I honestly enjoy every day of the Guide. How come? It’s because the Guide is not restricting and thus doesn’t really feel like a “diet”. Diets are often associated with negativity because you’re giving up good food… However, the Fitgirlcode Guide isn’t really a diet, it simply gives you a very healthy and balanced meal plan with an accompanying selection of workouts that will tone your body and give you that strong and healthy look. What also makes the Guide easier is that you don’t need to “strictly” follow the recipes the way they are shown. For example, I don’t eat fish or seafood and so, instead I just eat chicken whenever salmon or tuna is mentioned. In terms of motivation, it’s all still there at the moment! ? Since I haven’t lost any motivation, I haven’t diverted from the meal plan. Except for once in the weekend… In the weekend it’s hard to keep up every meal of the Guide as you’re often out and about, enjoying life and taking part in activities with your fam and friends. This is luckily not a problem, the Guide encourages you to be active and to enjoy life. The only thing it stresses is that you should keep a balance and not go completely off track. This means that I could guiltlessly enjoy the fries and burger I had on Sunday night.? Two weeks isn’t much, so I don’t have my perfectly carved abs YET! ? However, I do feel a lot leaner. I can see my body getting more and more toned every day, and guess what?! I LOVE IT!! After week 1 I felt a lot less bloated, which was really a problem that I had when I wasn’t eating very well. And now week 2 is where my body started to really get leaner. Apart from the physical changes, I now also feel A LOT more confident. I am starting to love my body and what it’s capable of (which I notice in the gym)! My dedication to the Guide grows every day which means that saying no to beautiful little snacks is maybe a little painful, but the pride I get afterwards is so much better.? In addition, I have made a lot of progress in terms of my appetite. The Guide has really taught me to stick to 3 meals with small, healthy snacks in between. Before the Guide I was just kind of eating whenever I wanted and it made me constantly crave more food. However now I just look forward to a particular time of day when I will eat, and the snacks in between are very useful as they kill my cravings. Is it easy to keep up? It’s neither easy nor difficult… It simply takes commitment and preparation. Your life actually becomes easier because you know exactly what you need to eat every single day. However, when you have a busy schedule and don’t have so much time, it gets difficult to prepare all your meals. Resisting temptation is of course also difficult but if I manage to conquer my cravings for snacks, then you can too! ? The workouts are not too intensive as there are only 3 per week (I actually do more than the Guide suggests because I am a sport fanatic). Some of the exercises are difficult and need real persevarence, whilst the other half of the exercises are a bit easier and more enjoyable. Much like the meal plan, the workout plan is also flexible. For example, I love weight training, and so I just do the Guide’s workouts as a warm up and then do my usual weight training. 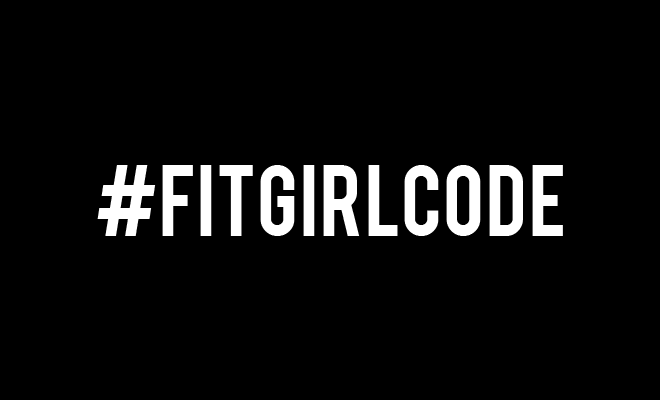 I hope this review helped shed some light on what you could expect from the first 2 weeks of the Fitgirlcode Guide. I honestly recommend the Guide as it allows you to reach your goals quickly and easily, in a fun and healthy way! If you have any more questions or comments don’t hesitate to comment or email them. I’d be happy to answer them. Otherwise, I’ll see you in 2 weeks with my 4-week transformation pictures! ?